As the globe’s second largest continent, Africa holds untold secrets, wonders, and treasures that are as old as time itself. There’s something truly evocative and magical about unravelling the stories behind things like the pyramids, majestic waterfalls, imposing mountains, dry deserts and animals in the wild. With its 54 countries surrounded by oceans and seas, Africa is one place in the world that will leave your soul touched and uplifted. While creating a finite list of places to visit in Africa seems futile as it easily spans pages upon pages of a guide book, my hope is that this post will be the inspiration and launching pad for your very own journey. Some of these stunning spots are obvious while others are off the beaten path but regardless, these are places that you will have to cross off your bucket list. So without further ado, here are the top 13 places to visit in Africa. 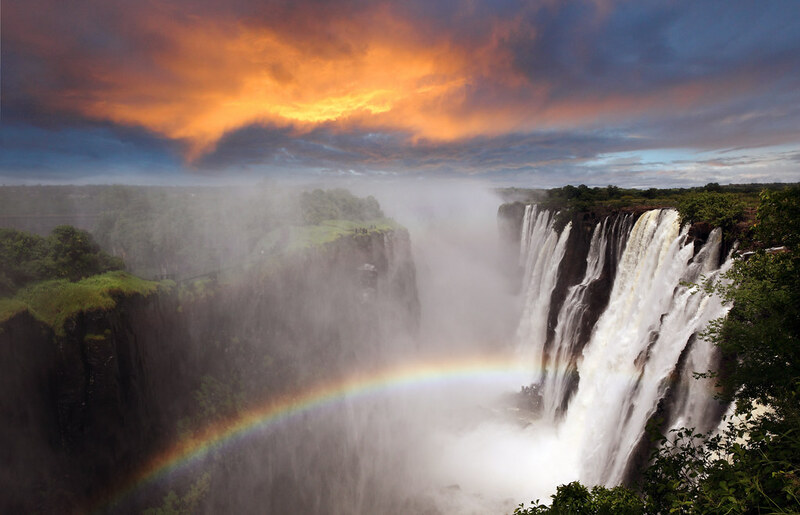 The sheer size and power of Victoria Falls is what makes these waterfalls a “must-see”. You may have seen the power of Niagara Falls but these falls at the border of Zambia and Zimbabwe easily double the flow. The locals call it “Mosi-oa-Tunya”, which literally translates to the “smoke that thunders”. The calm Zambezi River plunges into chasm 100 feet down and plumes into a wall of mist and roars with authority like you’ve never seen before. Tours of the Falls Guided – Spend 2 hours in at Victoria Falls where you’ll get to walk through the rain forest and stop at several viewpoints. Learn about the Zambezi River and history of the falls. You’ll also be able to see the Big Tree before heading back to your accommodation. Dinner on the Zimbezi River – This iconic river dinner cruise gets you up close to Victoria Falls. Enjoy Zambezi-style cuisine while having an abundance of beer and wine with the sun setting. Chobe Day Trip From Victoria Falls – Visit the popular park, Chobe, as a day trip from Victoria Falls. This is your chance to catch the Big Five as Chobe is well known for its high concentration of elephants. Travel by land and water with a great guide to get you up and close with the animals in the park. I’ve been to Indonesia’s Mount Bromo and climbed up to the caldera but even that is peanuts compared to the enormity of the world’s largest volcanic crater. Created when a volcano at the same location exploded 3 million years ago, it caused the land to collapse 600 meters. Now, the 260 square kilometers of plains is a conservation and sanctuary for over 25,000 wild safari animals which makes it an incredible place to see Africa’s big five (lion, elephant, buffalo, leopard, and rhinoceros), and more. 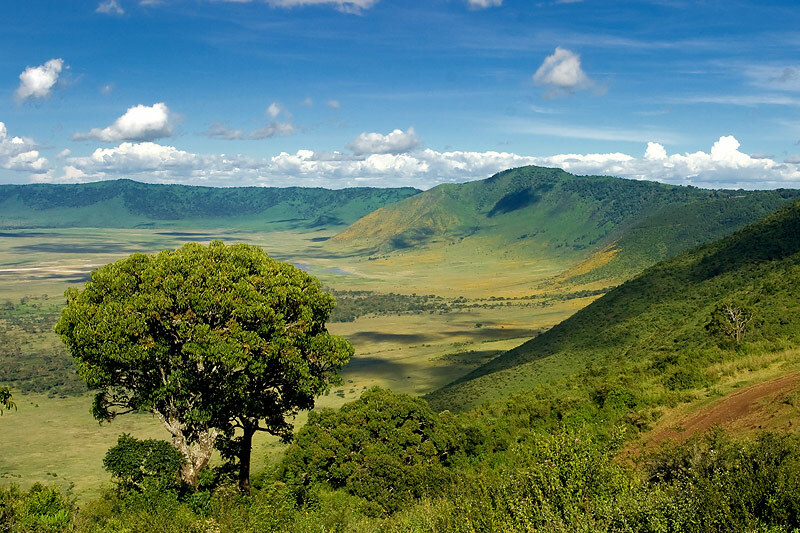 Ngorongoro Full Day Safari Tour – A full-day tour from Karatu for a game drive safari in the Ngorongoro Crater where you’ll have a chance to see elephants, lions, leopards, and the rare black rhino. As one of the world’s largest inland deltas, the water is fed from the high waters of Uganda which flows into the plains of the Kalahari Desert before emptying into open land and floods the savannah as it tries in vain to reach the Indian Ocean. Many call the Okavango Delta Africa’s last Eden. The delta is the natural life force of all the wildlife in the region, thus creating a massive oasis to explore. Fly into the town of Maun and from there go from camp to camp to different regions of the delta to enjoy mostly water-based safaris. 1 Day Okavango Delta Boat Safari – A full day safari that starts at 8AM and takes you into the Okavango Delta via the Boro Gate. On your boat, you’ll be able to delve into the Inner Delta where more game can be seen. The boat will go as deep as Chief’s Island where you’ll do a 1 hour game walk before having lunch and heading back. 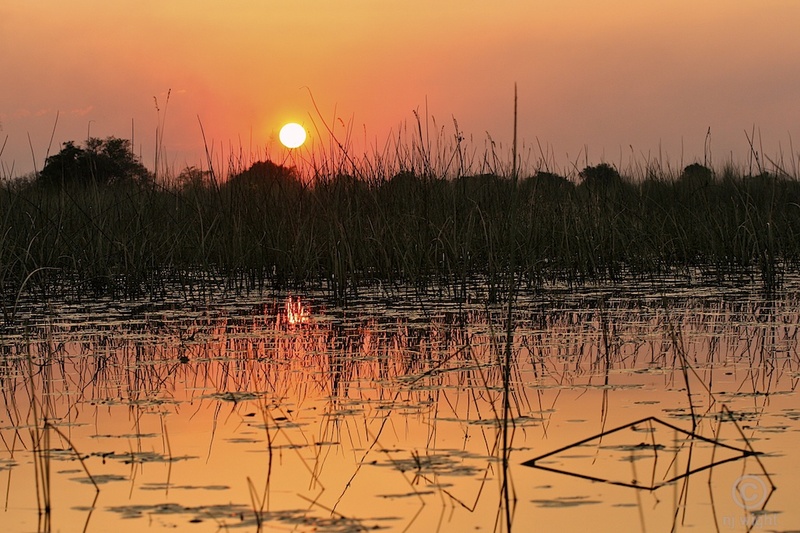 4 Day Okavango Delta Boat Safari – Go deep into the Okavanago Delta with this experience.You’ll be able to see a combination of mokoro, game, and amazing bird species in this package. During the 3 nights, you’ll set up camp on strategically located Okavango Delta islands. 3 Days Okavango Delta – A balanced experience that gives you 3 incredible days in the delta that includes a Mokoro excursion, being able to camp in the wild, have all your food included and be guided by an expert. 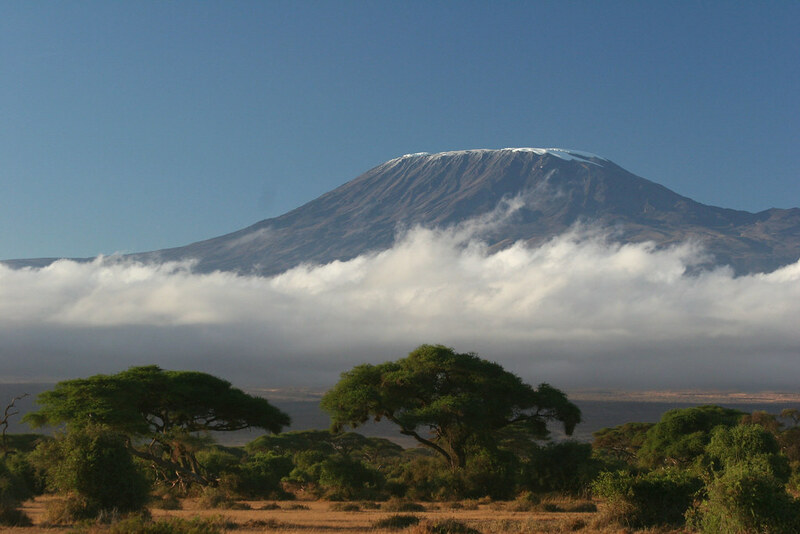 Rising 5,895 meters high, Mount Kili is Africa’s highest peak. Easily on top of most people’s bucket list (including mine), every year many make the pilgrimage to climb the barren landscape of the mountain to reach the twin summit. It’s no easy task but for those that do make it to the top to watch the sun climb above the clouds, there’s an immense sense of accomplishment and serenity. What makes the area even more attractive is the fact that the area around the base of the mountain is home to some of Africa’s best wildlife parks and reserves. This makes it incredibly easy to combine both experiences together. Kikuletwa Chemka Hot Springs Day Trip – Perfect after your Kilimanjaro hike, this is a unique phenomenon in Tanzania where hot springs are formed from ground water being warmed up by geothermal forces and a great place to relax your weary muscles. It’s a 2 hour drive rom Arusha, Tanzania. Trek Kilimajaro’s Lemosho Route – This is a beautiful but long route that approaches Kilimanjaro across the Shira plateau. This is 7-8 days that is less travelled but extremely scenic. This also allows for plenty of time for acclimatization. Trek Kilimanjaro’s Machame Route – A scenic route that starts from Machame village and is a 7 day hike. It’s known as the Whisky route due to its scenic escarpment. This is definitely one of the harder routes to climb Kilimanjaro. Trek Kilimanjaro’s Arusha Day Route – This is a short day hike that gives you a glimpse of what it’s like to trek Kilimanjaro. This follows the Marangu Route to the Mandara Hut. 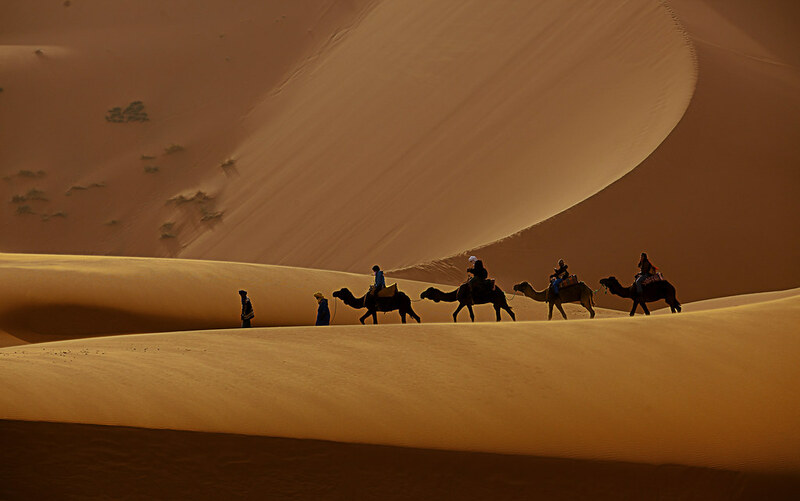 The Sahara is mostly impassible due to its unfriendly climate and frequent sand storms. Lucky for you, there is an access point to the desert from the northern edge of Morocco in the town of Zagora that is more friendly than others. From here, take a camel safari into the dunes, camp out for the night, and let the local Saharawi men entertain you with drums and singing around the campfire while gazing at the stars. Full-Day Trip from Marrakech to Atlas Mountains and Ait Ben Haddou – Adventure up to the Atlas Mountains, crossing through mountain passes, the ancient city of Ait Ben Haddou (UNESCO world heritage site), and get a glimpse of Berber villages. This is a small group tour with pick up and drop off in Marrakech. Moroccan Desert 3-Day Tour from Marrakech – Set out for 3 days into the Sahara Desert with stops to kasbah of Aït Benhaddou, the city of Ouarzazate, and Atlas Studios, one of the largest movie studios in Africa. Along your way, experience life like locals do as you sip on traditional mint tea, hop on the back of a camel to trek across Erb Chebbi, and spend the night in a nomadic bivouac camp. 3 Day Fez to Marrakech Desert Tour – This is a popular 3 day tour if you’re based in Fez. This includes highlights such as the Atlas Mountains, the Ziz Oasis, the Dades Valley, and the Kasbahs of Skoura. Spend your evenings in a desert camp and local accommodations as you make your way through the desert with your small group. In South Africa is national park known as Kruger National Park. It’s easily one of the world’s most famous game parks and for good reason. It’s a park where spotting the Big 5 (lion, leopard, buffalo, elephant, and rhino) is almost a certainty and one of the main reasons why so many travellers choose South Africa for their safari year after year. I had the pleasure of visiting here for our honeymoon and when you consider Kruger National Park itself and the outlying private game reserves like Sabi Sands, you realize how massive the park is. Whether you enjoy luxury or like to travel on your own and do it more affordably, there are ways to do it in South Africa and I say a great introduction to what a safari is like. Welcome to the greatest wildlife show on earth. This mass migration might just be the most incredible sight you’ll ever see. Every year, several million wildebeest, and hundred thousands of zebra start from the south of Serengeti in Tanzania and follow the rain towards Kenya’s Maasai Mara. In that process these animals have to survive attacks from crocodiles in the water and predatory beasts in the fields. The migration itself actually occurs all year round as the herds are constantly moving according to the ever-shifting climate. That being said, the famous crossing where wildebeest have to cross crocodile-filled rivers occurs from July to August. Great Migration Kenya Experience – Start off in Kenya’s capital and head into the Maasai Mara for an encounter with the Great Wildebeest Migration. This is a well rounded 7 day, 6 night experience that includes top notch lodges, camps, and meals on a full board basis. Animal Migration Safaris – This is a 3 day safari and ideal for those that don’t have too much time in Kenya. Starting from Nairobi, you embark on several game drives to see wildlife and a chance to see migrations. You can choose a camping or lodge package to suit your budget and preference. 10 Day Migration Luxury Safari – This 10 day luxury safari that shows you the best of Kenyan culture and wildlife. You’ll get to visit places such as Nyahururu Falls, local communities, safari game drive tours in various parks such as Nairobi-Amboseli National Park, Samburu Game Reserve, and Maasai Mara. The Virunga Mountains is a chain of volcanic mountains that share its border with Rwanda, Uganda and the Democratic Republic of the Congo (DRC). A visit here will give you a chance to have a close encounter with the highly endangered Mountain Gorilla. The dense rainforest at the slopes of the Virunga Mountains is the last home to this species. Another stunning sight in this park is the Nyiragongo Volcano lava lake that spans two whole kilometers wide. 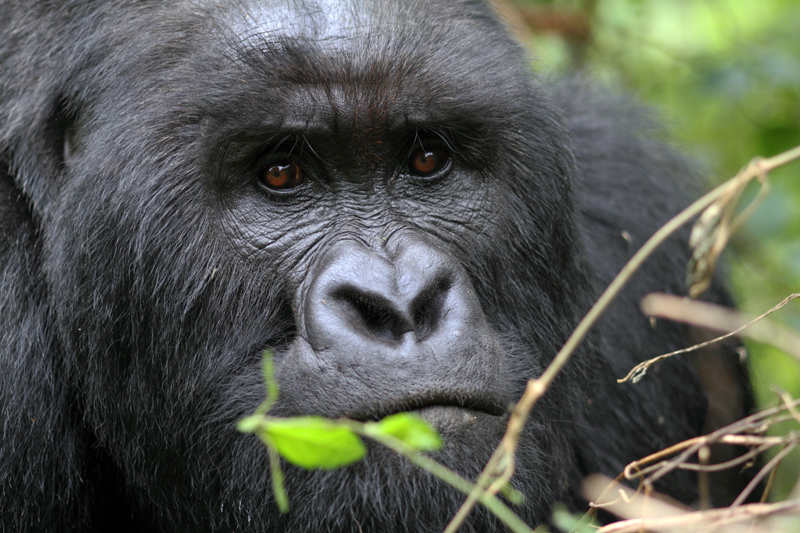 5 Day Gorilla and Wildlife Tour from Entebbe – 5 days of Gorilla tracking, learning about primate life, visiting local communities, getting a view of Virunga Mountain, horseback riding, game drives, and game walks in the open Savannah are just a few of the things you’ll be able to do in this tour. 8 Day Gorilla and Chimpanzee Tour in Uganda – Go Gorilla tracking in Bwindi Impenetrable Forest (once continuous with the forests of the Virunga Volcanoes)and Chimpanzee Tracking in Kibale Forest National Parks. You’ll be able to see many primates up close and birds in Uganda. 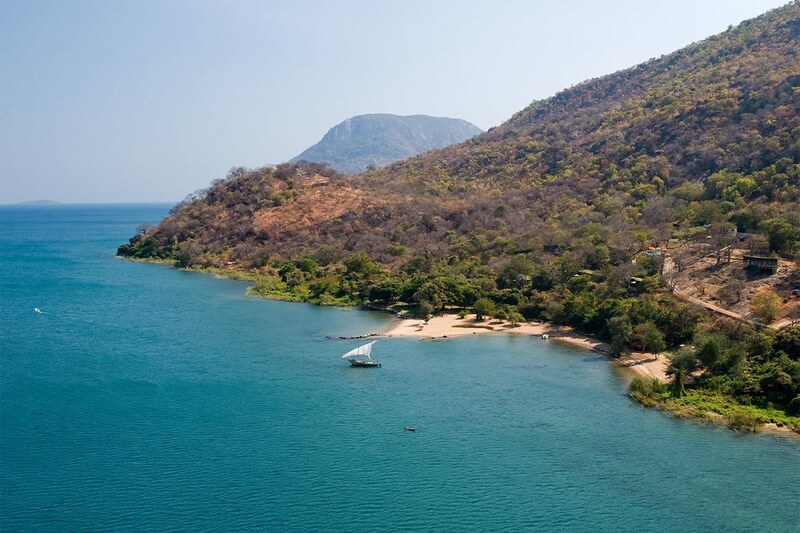 Lake Malawi is one of the largest lakes in the world and was recently recognized by UNESCO as a World Heritage Centre. Its incredible bio-diversity is comparable to the Galapagos and contains 13,000 species of tropical fish – more than any in the world. If you are a diver, look no further than this tropical paradise. With Table Mountain, Cape Town is South Africa’s most urban and civilized city. To those that call it home, they call it “Mother City”. Start your morning with a bit of mountain hiking, hit some surf by early afternoon, feel the pulse of the street markets and then find yourself sipping a glass of wine and having a world-class meal as the sun sets. Looking for that iconic shot of swaths of flamingos filling your frame? 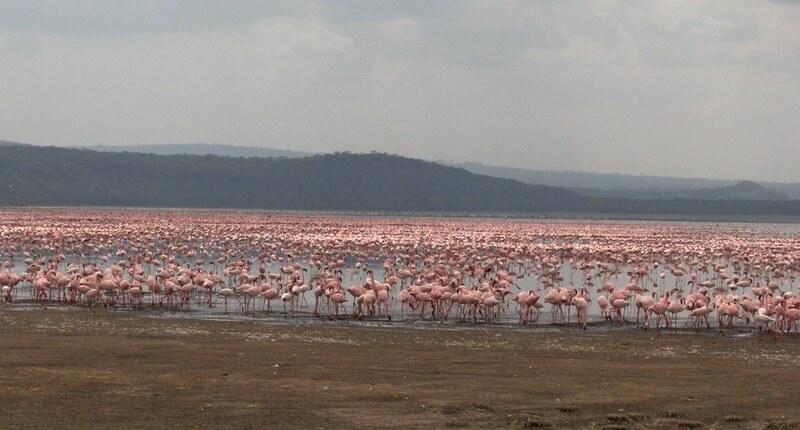 Lake Nakuru National Park is the home to a congregation of one million flamingos making it easily one of the best places to watch these pink birds. Aside from flamingos, the park is also home to rhinos, buffalos, jackals, lions, and many more species of birds. Day Tour Private Lake Nakuru Express – This day trip takes you to Lake Nakuru where a massive population of flamingos call it their home. The tour starts and ends in Nairobi and takes approximately 11 hours. Lake Nakuru National Park Day Tour from Nairobi – Another day trip option that starts from Nairobi. Supposed to be closer to 8 hours. Lake Nakuru National Park Full Day Tour – A third option that also starts from Nairobi and leaves at 6:30AM for a duration of 11 hours. Sure you can hike mountains but have you hiked a massive sand dune? The exhilarating climb to the top of Sossusvlei provides extraordinary views of the plains below and the Deadvlei, a ghostly expanse of white clay littered with camelthorn trees. Sossusvlei is a clay pan in the Namib Desert formed by millions of years of movement material moving between the Orange River to the Atlantic and back. Quad Bike Tour of the Namib Desert – This 3 hour quad bike excursion that starts in Walvis Bay and then takes you straight into the adrenaline pumping tour through valleys, dunes, canyons, and plains. Max size of the tour is 15. Namib Desert Tour from Swakopmund – This guided tour picks you up from your hotel in a 4×4 and brings you right out to the rugged terrain of the Namib Desert. This is a 4 hour tour. 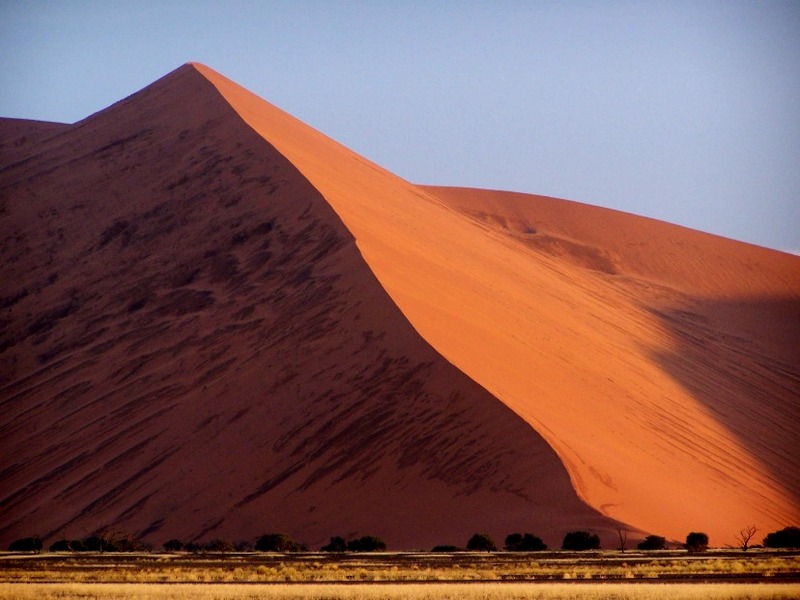 2 Day Namib Desert Dunes Tour – For an extended look at the Namib Desert, this tour focuses on the Sossusvlei area. This area is characterized by high sand dunes of vivid pink-to-orange color, an indication of a high concentration of iron in the sand and consequent oxidation processes. The oldest dunes are those of a more intense reddish color. This really needs no introduction. As one of the Seven Wonders of the Ancient World, these pyramids in combination with the Sphinx are perhaps the most iconic landmark in Egypt. Built between 2700-2500 BC, these 4500 years old tombs are a marvel to see in person. The largest of the three was built by Pharoah Khufu (also known as Pharaoh Cheops) and was constructed with 2.3 million limestones each weighing 2.5 tons. During this age, pharaohs bodies were mummified and entombed safely in a pyramid with his most coveted treasures, comfort items, slaves, and animals to accompany them to the after-life. While Egypt has gone through some political turmoil in recent years, the region is safe as long as you travel smartly. Look for the most affordable and robust travel insurance coverage for whatever you might encounter in your adventures. Full Day Tour from Cairo: Giza Pyramids, Sphinx, Memphis, and Saqqara -Experience ancient Egypt first-hand on a full-day tour from Cairo or Giza to the Giza Pyramids and Sphinx, Memphis and Saqqara. This tour lasts roughly 8 hours and starts at 8AM with pick up from your hotel in Cairo. Entry/admission included. Private Night Tour of Cairo – This is a 6 hour private tour of the city’s most atmospheric locations including the view from Cairo Tower, cruising on a traditional sail boat on the nile, sipping on tea at the peak of El Mokkatam, having a traditional Egyptian dinner, and the bustling Khan El Khalili bazaar. Private Half Day Tour of Ginza Pyramids with Camel Riding – This is a private half day tour that takes you to the Great Sphinx, and the Great Pyramids of Giza. You’ll get a chance to ride a camel for a view of more pyramids along the Giza plateau. All entrance fees plus lunch and a hotel pickup and drop-offs are included. When planning a trip to Africa, one of the most important pieces you’ll need besides hotel and flight is travel insurance. You never know what will happen when you’re on the road and you want to make sure you are covered. Thing is, travel insurance doesn’t have to be expensive. My current multi-trip coverage only cost $97 CAD with 10 million coverage. I was so surprised what I was able to find on Kanetix.ca. Curious where all these top 13 things to see in Africa are? Take a look at the map below with all the numbers marked. You should visit Morocco because it has very beautiful cities, delicious meals and amazing Sahara desert. I would love to visit there soon. I still haven’t been! WE HAVE DONE ALL BUT NUMBER 5! Nice post our four month overland adventure took us everywhere but one place on your list! My fav was bush camping in the Okavango delta, botswana. Truly a trip of a lifetime! I’d love to see some of these incredible places. Everything in Africa seems to be on such a different scale- it’s amazing! Many people wonder why I want to visit Africa, but I think there is so much the country has to offer that people should experience and see. I’ve had Tanzania on my mind, but I also loved the Victoria Falls and definitely want that to be a priority when I travel to Africa. Thanks for all of your awesome suggestions!